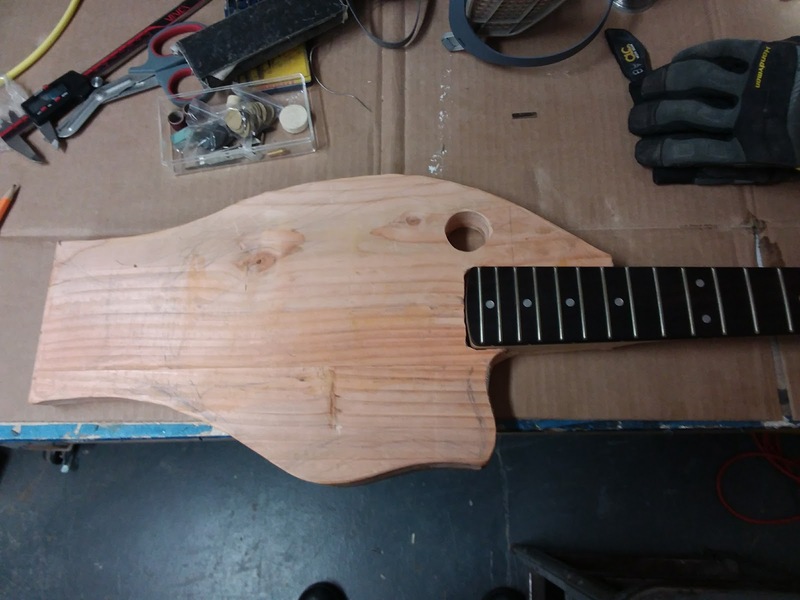 Designing an ergonomic bass. The thing I don't dig so much about the bass in that article is that it's designed for your right hand to sit in the middle of the bass. And my interest is in playing near the bridge more comfortably. Huh. In the early 70's Fender moved the bridge pickup somewhat closer to the bridge. I found a piece of old pine in the dumpster behind my apartment building. I thought it would be funny to make, instead of a "tonewood" guitar, a trashwood one. This graphic is relevant to my needs. 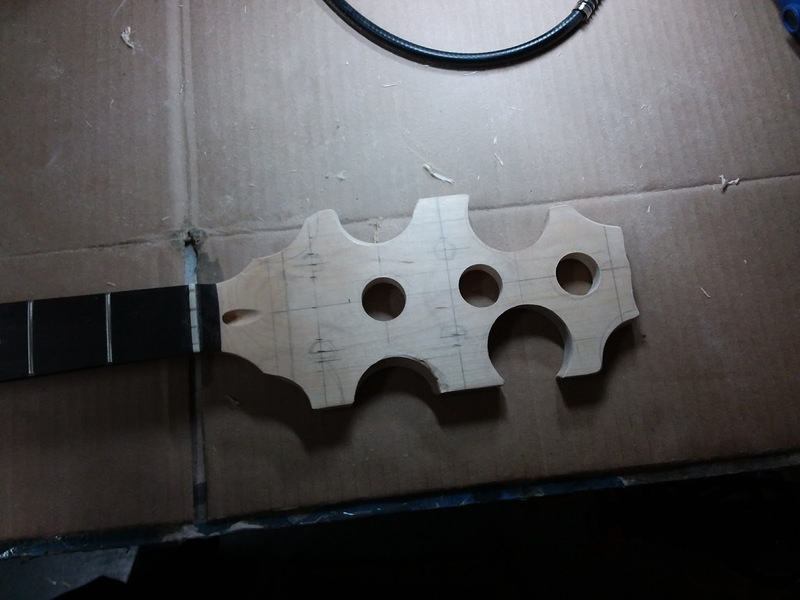 Allen Eden guitar neck. Pre-cut bone nut. Massive blank headstock. I need an 11/16 drill bit for the tuner holes.